Consequently, our change of plans means that I need to get my creativity on! And, natch, we are all currently on the hunt for new, exciting, and health-forward directions for the new year. And I think it is safe to say that, with both my propensity for keeping my eating on the heathier side and my overall stinginess, I am pretty hep on things yummy and healthy, both for our bodies and our wallets. I am going to talk about 5 of my faves today, in the interest of sanity. These are all places that focus on quality ingredients that pack a nutrition punch, and for the most part are quite affordable. But remember, you often have to pay a little extra for quality. And even more appropriate, Alex and I went by FoodEase today (Tuesday), so all the more appropriate! Ps I’m not technically allowed to take pics but I snuck some in for your benefit. This is my absolute favorite salad bar ever. Period. End of story. It beats Whole Foods HANDILY, IMO. Nearly everything is locally sourced and/or organic, prepared foods are made by local restaurant cheflebrities and different restaurants rotate making the dishes as well. 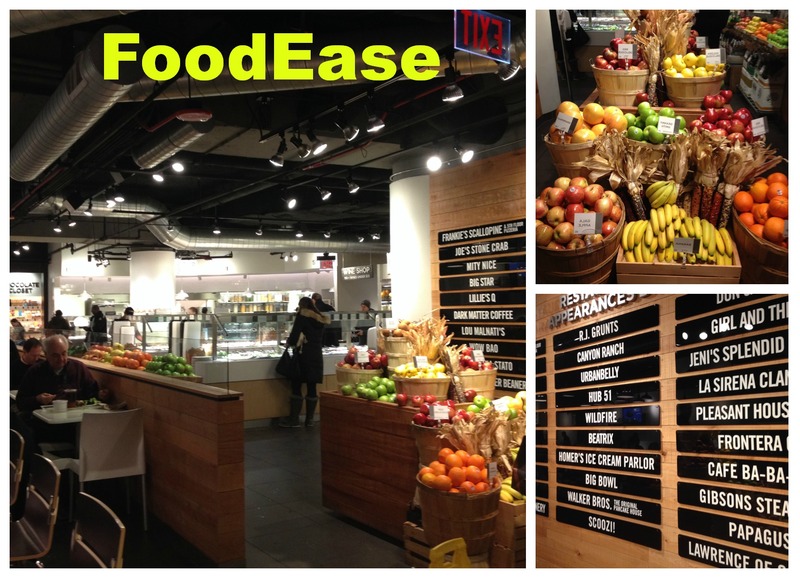 They have the most expansive and diverse cold bar offerings I have yet seen–even fresh chopped basil, 5+ types of greens, the best bacon crumbles, and multiple different types of infused oils and vinegars (lemon, jalepeno, basil…). Fresh made breads, sushi (including fresh tuna poke! ), sandwiches pressed to order, a wine shop, a sit-down wine bar (holla), infused lemonades and waters, house made hummus, a trail mix bar, local candies, a “Chocolate Closet”, fresh pastries, a Coke Freestyle machine…. literally, the list of awesome never ends. Oh, and they also bring in local farm produce that you can just purchase (I’ve gotten summer squash there, apples). Events happen when I end up here. I wish I had taken the pic on an angle so that you could properly appreciate its mass. Alex’s more compartmentalized, less ALL OF THE FOODS!!! approach. After the ZOOMA half, I went to FoodEase (in full compression and crocs, because I am classy like that), and I got a salad so large that I had wrangle it into the to-go container. Another note–they are very eco-conscious, and work to reduce their waste and promote less waste via smart usage of containers. And their to go containers are my favorite, and I horde them. Alex keeps stealing them for work, so I need to go and get me some more. A perfect excuse, no? 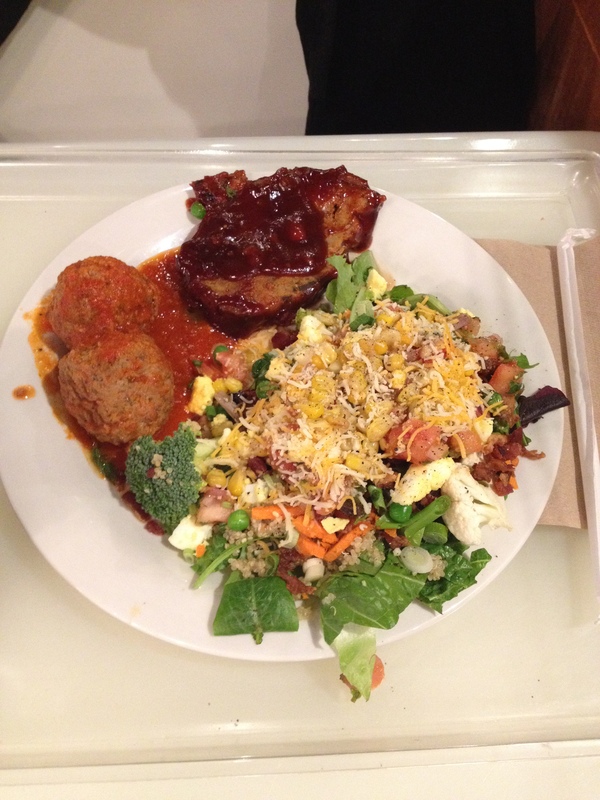 This is a healthy eater’s paradise. Originally founded in California, NFC is a “chef-crafted vegan restaurant serving homemade, fresh food.” There are locations in Southern California, Oregon, Colorado, and Chicago. The entire menu is 100% plant-based, and the menu offers a great deal of gluten-free, dairy-free (obviously), and organic options. A good friend of mine is gluten- and lactose- intolerant, and she is very thankful that NFC is a stone’s throw from her office. They also offer cooking demos and community days. NFC is a fast casual concept, so you place your order, take a number, and the dishes are brought to you by some of the friendliest staff around. 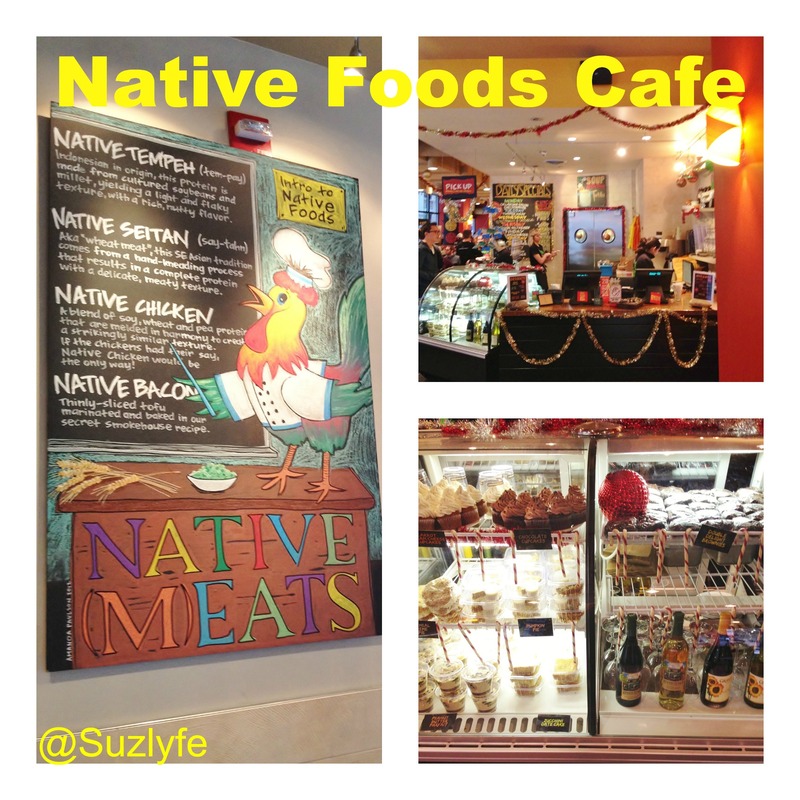 The food is made fresh daily–including the tempeh, seitan, sauces, dressings, and desserts! And I have a history of meeting excellent people there! So many options and flavors, great service, great prices, and generous portions. This place is brand new to the Chicago market, and I am so excited that they are here. 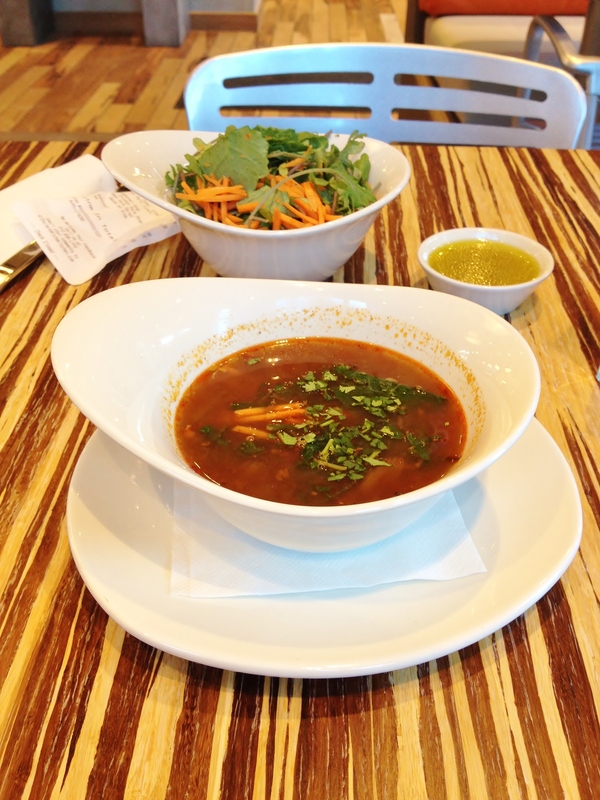 In many ways, Lyfe Kitchen is the modernist and omnivorean counterpart to Native Foods. 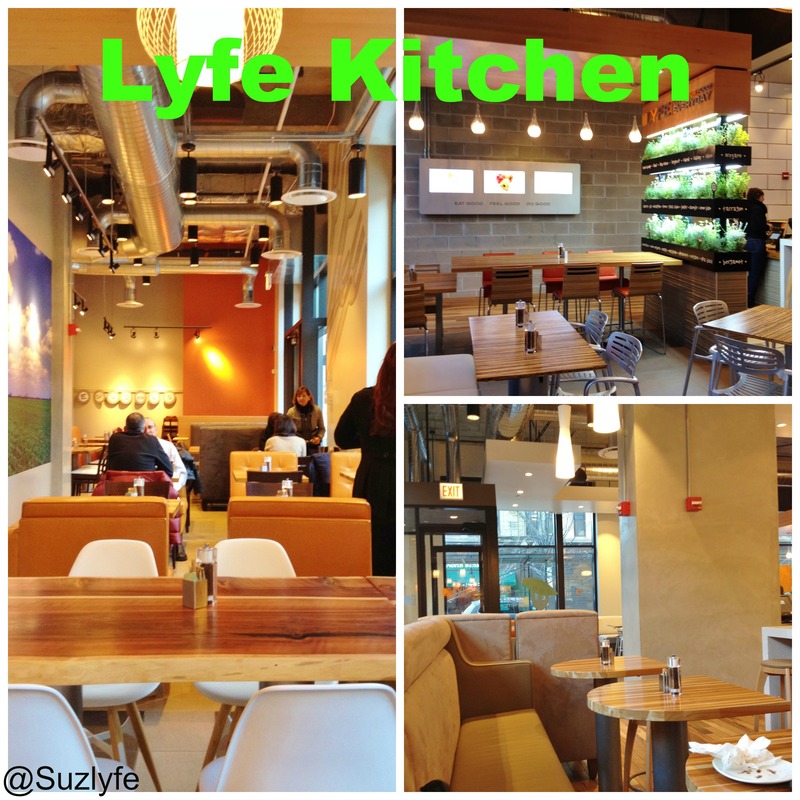 Lyfe Kitchen ties NFC for the most helpful and friendly restaurant staff and is also fast casual with personal service. The decor is crisp, clean, modern, and provides the perfect backdrop to the food. They even have a mini -garden! And free cold seltzer, water, and even room temp water. 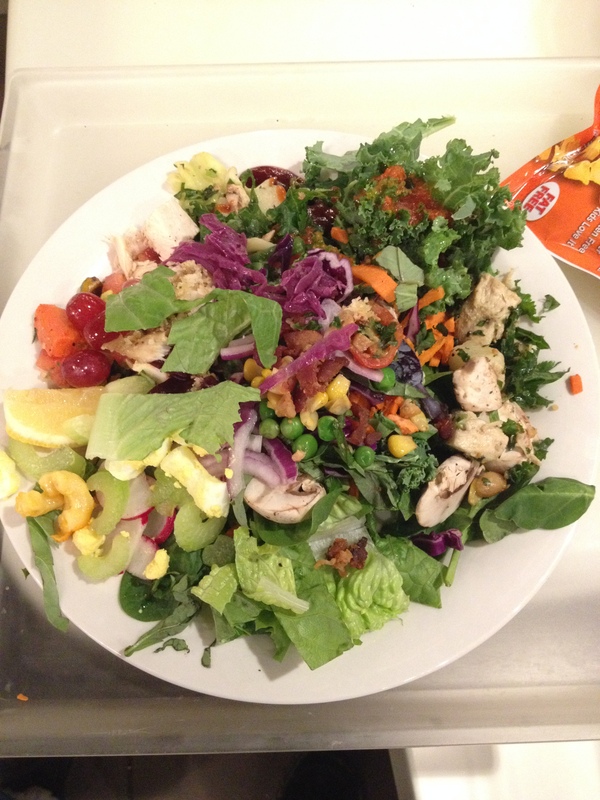 I was eating in between shifts, so I went lighter than a full meal, but it was still fantastic–Chicken and kale soup (a special that day) and a baby kale salad. Literally picked up the soup and drank the bowl #sorryNOTsorry Thank GOD this is literally 1/2 block from my work. I wish I could go there more (rather than just being at the restaurant). Also, how affordable was my meal? It was $7 for both dishes, plus a small upcharge for dining in. I also tipped. Because I practice what I preach. A great option for veggies and carnivores alike. Erica talked about Protein Bar some in her recap/review of Chicago, and I agree that it is a great, wholesome option for the more health conscious. I MUST say, however, that you can find yourself paying a pretty penny for not much, if you are not careful. Protein Bar is all about knowing what and how to order. There is one very close to my work, and it was a treat-myself go-to following brunch shift on the days before my long runs. I have only ever gotten the bowls and one of the smoothies (I do not care for banana in smoothies, so this drastically narrows my options, but I was in LURRVE with their Cherry Limeade smoothie this summer, and I even made my own version!). When I go to PB, I get there Healthy Chicken Parmesan (served on a base of quinoa), light (or no) parm, add spinach, then I add red pepper or hot sauce. During the summer, at least, they had a promotion where you could at a 12 oz smoothie for $2 (vs $5 or 6), so I would add that on. 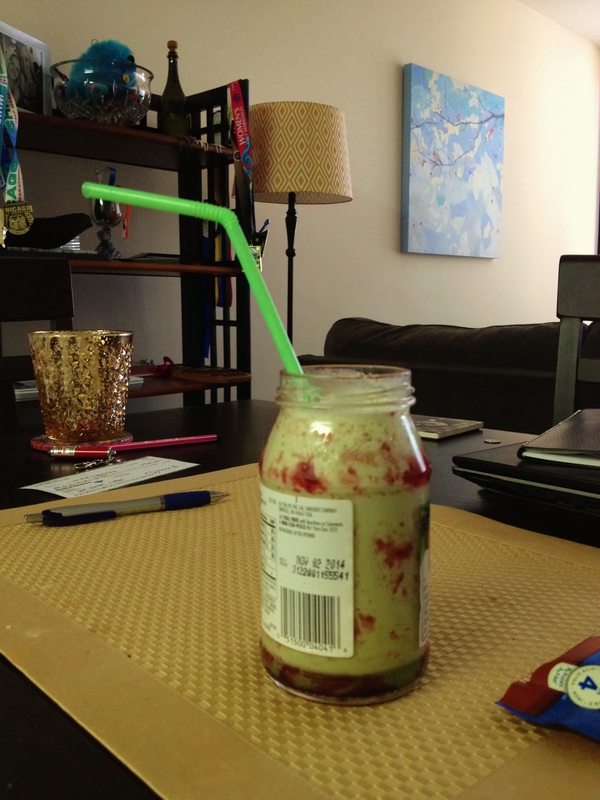 One time I also added spinach to the smoothie (small sized) and it ended up the large size as a result #winning. I’ll add the multivitamin boost sometimes as well (it’s free) and have them make it with whey powder. Not mine, but you get the idea (I get mine without the parm usually). If I am ever over there around breakfast time, I will definitely get an egg white bowl, you can bet on that. The issue for me is that much of the offerings have beans and cheese, etc, so the Healthy Parm is perfect for me because I am a GLUTTON for marinara, the chicken is tasty, and the spinach gives me the veg I need. Their salads are nearly too big, so I have yet to get one. But this HP bowl with the smoothie is my perfect last big meal before my long run. Again, remember that it can get REALLY pricey REALLY quickly, so go in with a plan, and work your options. A go-to destination for many, the so-called uber sandwich makers offer homemade, whole grain breads baked fresh, exceptional, organic ingredients, and crafted flavor combinations. When I went, I got the Alaskan smoked salmon: wild Alaskan smoked salmon with vine tomatoes, red onions, sliced cucumbers and housemade dill crème fraiche on organic bretzel Wecken™. It was absolutely delicious, if not extremely filling. I also got a side salad (I think it is the Ella’s salad)– organic mixed greens, kale, fresh local mozzarella, roasted grape tomatoes, white beans, rosemary-infused asparagus and roasted cashews, served with white balsamic vinaigrette dressing on the side. Decor-wise, it is very similar to Lyfe, with clean, white modern European lines. They also sell chocolate and other artisan goodies. 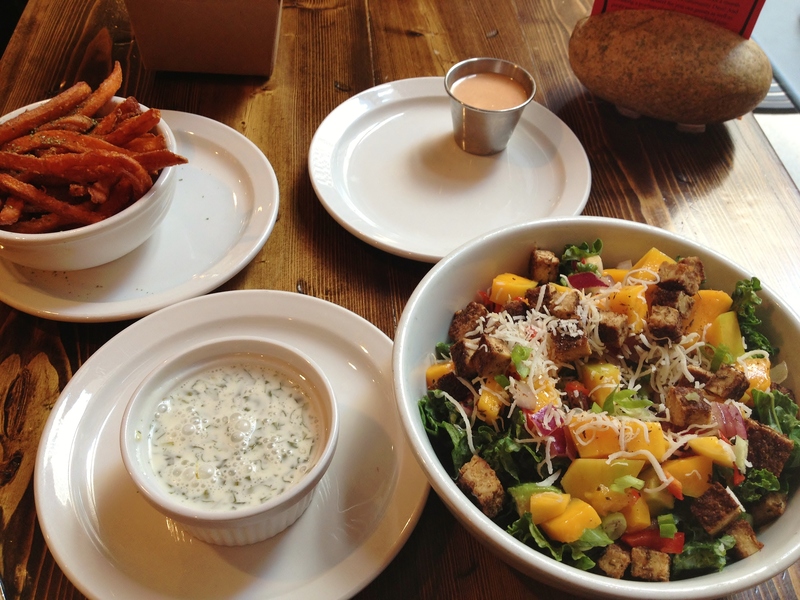 A great boutique lunch place, but you can also order ahead and pick up. I love the creativity and flavor combos, and the bread is fab, if overly thick for the amount of filling. Who doesn’t LOOOVE a pretzel bun with big ol’ pieces of sea salt? Do you go out of your way to find options like this? Or do you usually just make things at home and bring them into work/wherever? How do you eat healthfully on a budget, on the go, without always resulting to the same old (but favorite!) chain restaurants? Clearly, I love my Panera. 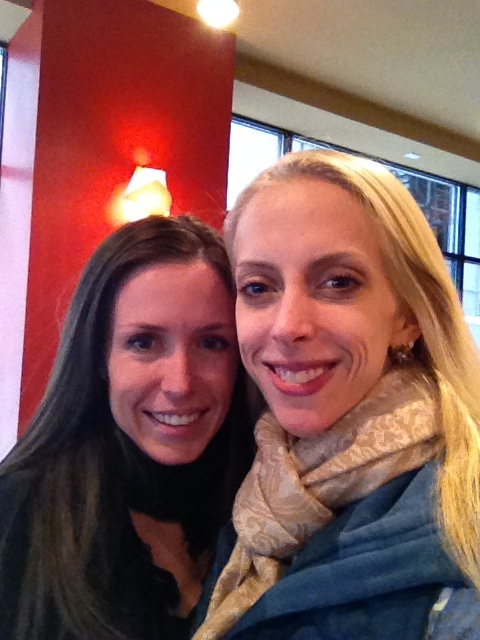 This is from Monday (when we were supposed to be in Mexico). 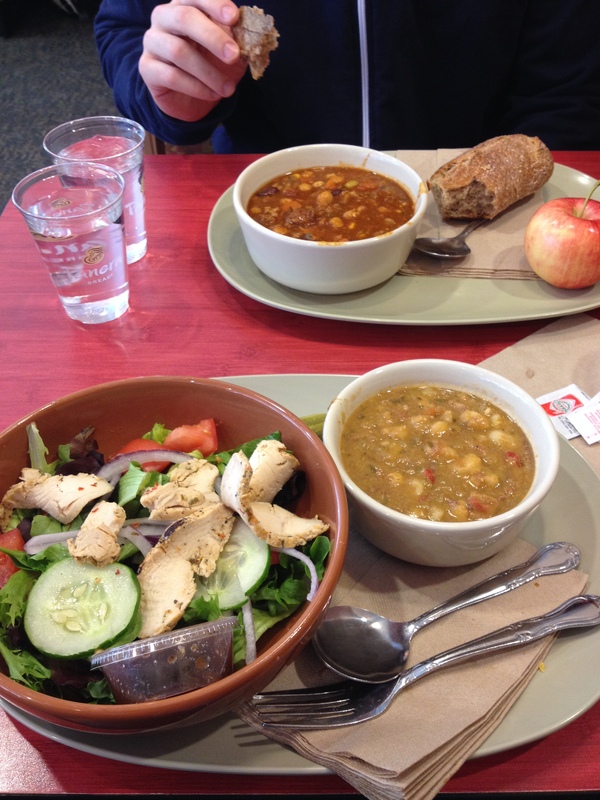 Posole and Chili verde with classic salad + chix for me, a bowl of turkey chili for Alex, we split the ww baguette and apple. The pickle spear was all mine.